When Amazon recently started dropping prices on their line of Echo devices, rumors started to fly that new devices were in the works. The speculation ended today when Amazon held a surprise hardware event and announced a number of new devices in the Echo and Alexa families, as well as a new Fire TV and some interesting Alexa integrations and enhancements. The new device is smaller than the original Echo (almost half the size). It features an improved sound system with a 2.5” downward-firing woofer and 0.6” tweeter powered by Dolby. The second generation far-field recognition also improves upon the microphones. The new Echos offer more decorating options and will now come in 6 color and finish choices: A Silver finish, three fabric finishes (Charcoal, Heather Gray and Sandstone) and two wood finishes (Oak and Walnut). Amazon is also featuring a limited time offer to save $50 on a three-pack of the All-new Echo. You can three devices for $250 (details are here). 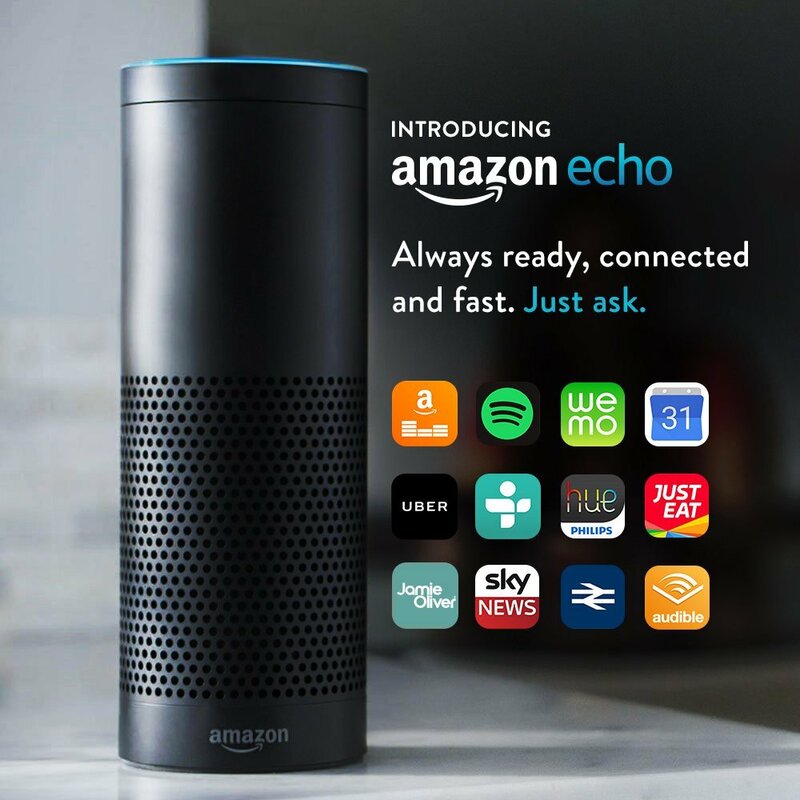 You can pre-order an All-new Echo (2nd Generation) here. This item will be released on October 31, 2017. The Echo Plus is the size of the original Echo and has enhanced capabilities for smart-home integration and the ability to act as a smart home hub. 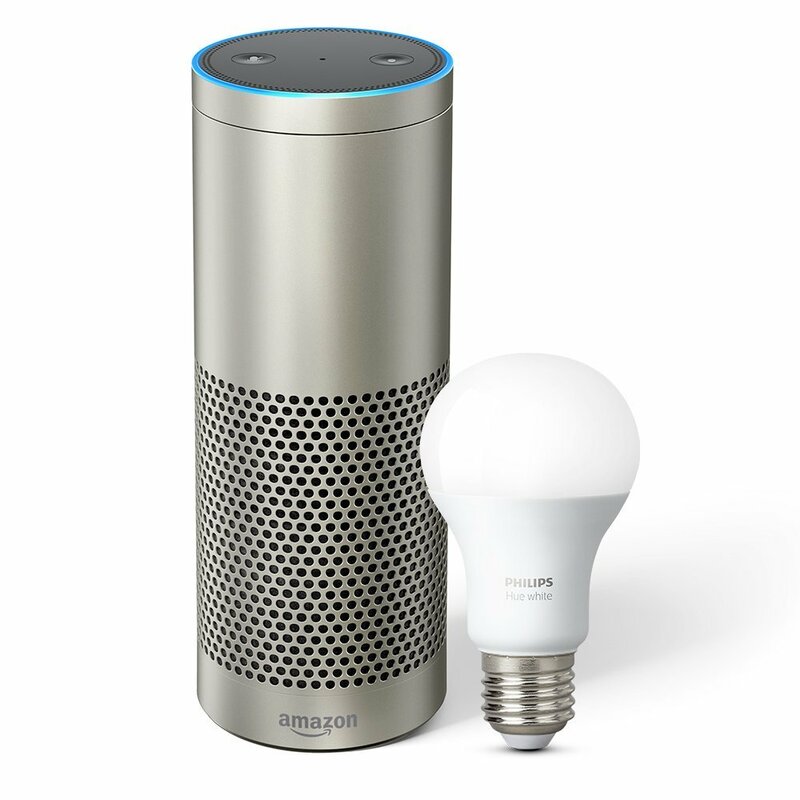 For a limited time, you can get a Philips Hue Bulb included with the purchase of an Echo Plus.. The Echo Plus also has the same new sound enhancements as the All-New Echo. The device is available in 3 colors: black, silver and white. You can pre-order an Echo Plus here. This item will be released on October 31, 2017. The Echo Spot is like a cute baby version of the Echo Show. Its size makes it ideal for an alarm clock and you can personalize it by choosing from a collection of available clock faces. 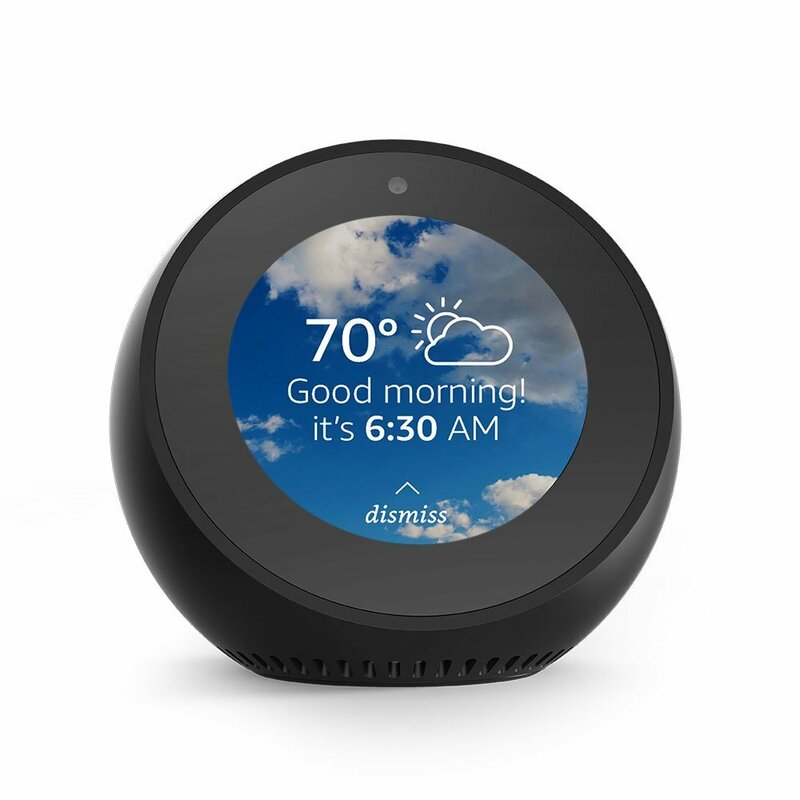 Like the Echo Dot, the Spot has built-in speakers, but also can connect to an external speaker via bluetooth or a 3.5mm audio cable. You can pre-order an Echo Spot here. This item will be released on December 19, 2017. This is the device that I am probably the most excited about. It offers the ability to make your landline phone hands-free for making and receiving calls, including 911 and international calls. 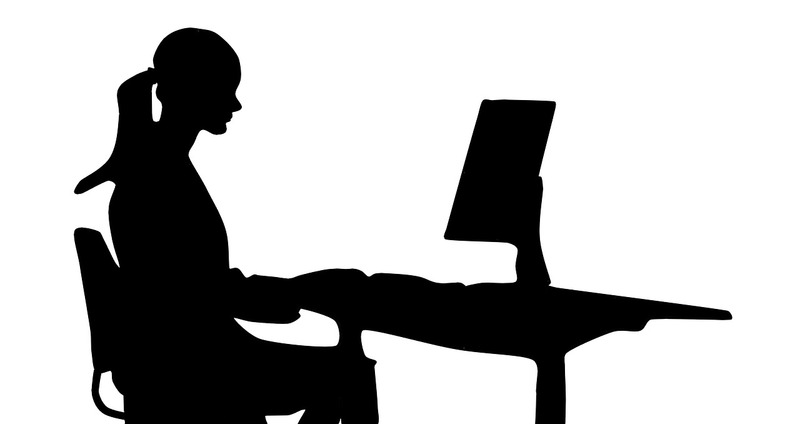 An Echo device is required for the Connect to work. You can pre-order an Echo Connect here. This item will be released on December 13, 2017. The All-New Fire TV offers 4K Ultra HD streaming at up to 60 fps, HDR, and Dolby Atmos audio. 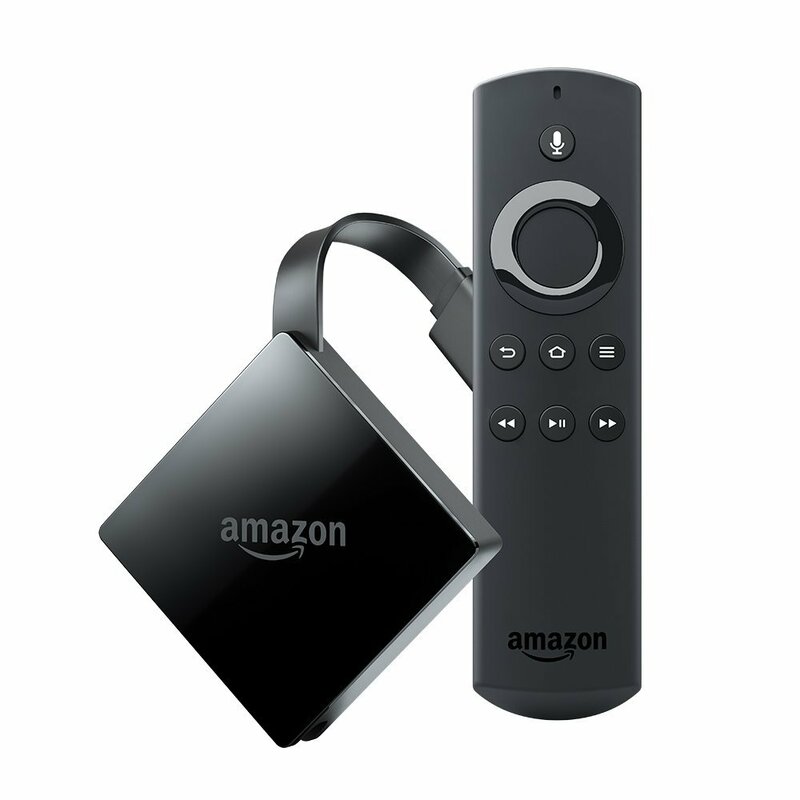 Unlike the still available Fire TV stick, this new 4K device is a Chromecast-style dongle. 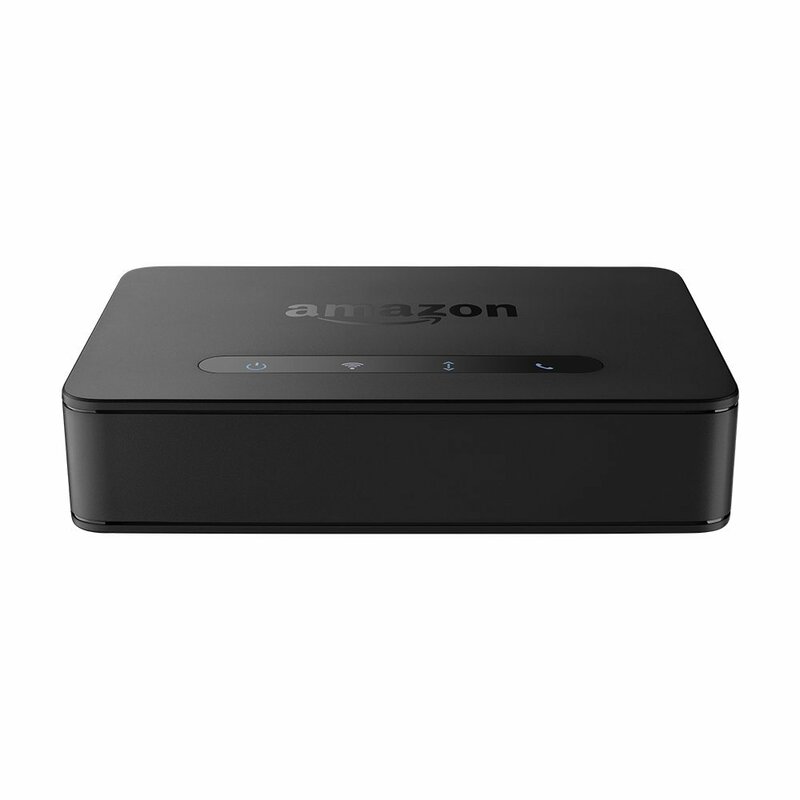 You can pre-order the All-new Fire TV here. The Fire TV also comes in two bundles, the Fire TV with Echo Dot ($79.99) and the Fire TV and HD Antenna ($74.99). These items will be released on October 25, 2017. Echo Buttons – (No release date set). Echo Buttons are new items in a series called Alexa Gadgets. Echo Buttons are a new way for customers to play games with friends and family using Alexa-enabled devices. These will come in a two-pack and are expected to arrive in time for the holidays. There is no firm release date for these yet, but you can sign up to be notified about them here. Okay, hold on! 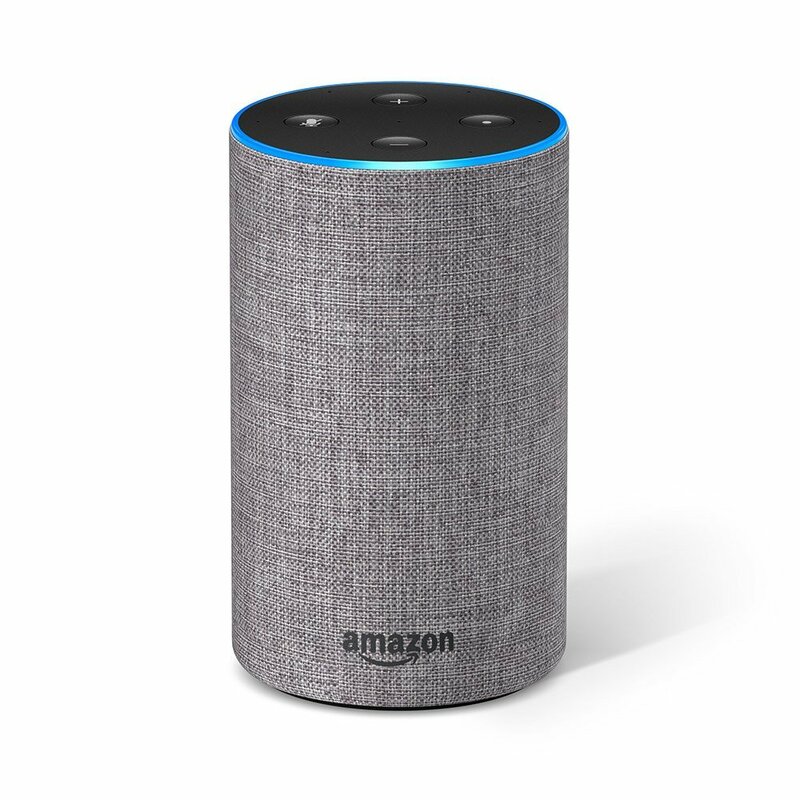 Alexa is going to be integrated into select models of BMW and Minis over the next year. This is not just an app, but actual integration of the Alexa AI into the cars.You’ll be able to listen to music, news and utilize third-party apps to do things like order Starbucks. 🙂 More details in the press release here. Wouldn’t it be nice to be able to say one command and have Alexa do a series of things? Well, starting next month, that’s exactly what she will be able to do. Routines allow you to automate a series of customizable actions using a single voice command of your choice. For example, say, “Alexa, good night,” and Alexa will turn off the lights, lock the door, and turn off the TV. You can also create Routines based on the time of day – for example, you can create a Routine that has Alexa turn on the kitchen lights, start the coffee maker, and read the weather forecast at 6 a.m. every weekday and at 9 a.m. every Saturday and Sunday. Routines are compatible with popular Works with Amazon Alexa lights, plugs, switches, and door locks from leading brands like TP Link, Philips Hue, Wemo, and August, and will be available for all Alexa devices including the all-new Echo, the previous generation Echo, Echo Dot, Echo Show, and Echo Plus starting next month. Remember that story from last year where somebody hacked a Billy Bass talking fish and put Alexa into it? Well, either Amazon liked the idea or somebody over there has a good sense of humor because, sure enough, there is going to be an official Amazon version of Billy Bass. Rumor has it that it will be available for the holiday season gift giving. Hey, it’s better than a lump of coal, right? What do you think of the new devices? Today, Amazon is offering the Amazon Tap Alexa-enabled portable bluetooth speaker for only $80. (The device normally retails for $130 and the refurbished models generally sell for this price.) This was the first Echo device that I bought for myself and it’s still my favorite. I like to use it out on the deck and it is my favorite speaker to pair with my phone for listening to audiobooks and music around the house. Originally, the Tap was not voice activated. You had to “tap” on the device to give it a command. A later firmware update added the voice-activated hands-free option for the Tap. This feature can be turned on and off on the device or through the Alexa app. 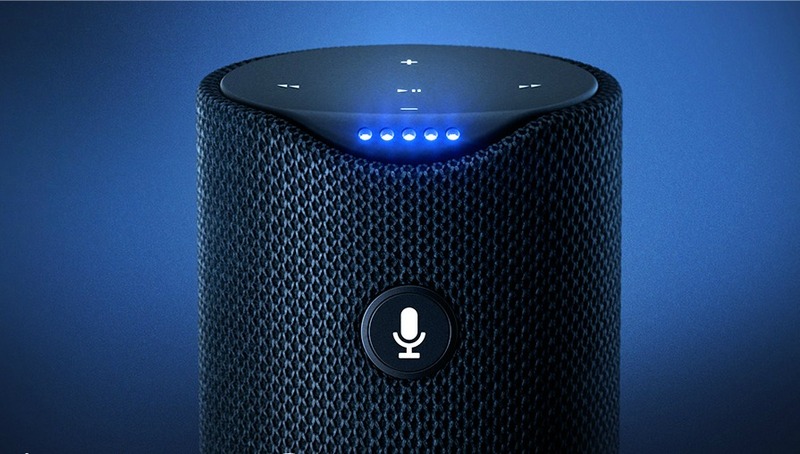 The tap is a good choice if you need an Alexa device in a portable Bluetooth speaker. Certain features like multi-room music sync and device calling that are available in the Echo and the Dot are NOT included in the Tap. If those features are important to you, the Tap is not the right device for you. There are also some other deals on refurbished products in the Echo line. The Amazon Echo is currently out of stock, but you can get a certified refurbished Echo for $80. There is also a refurbished Echo Dot for just $38. Amazon Certified Refurbished devices come with a one year warranty. Amazon has unveiled its upcoming Echo model with video capacity. The device, called the Echo Show, featuries a 7-inch touchscreen with new video oriented features. It also has a microphone and camera that can be turned off. See music lyrics, security cameras, photos, weather forecasts, to-do and shopping lists, and more. 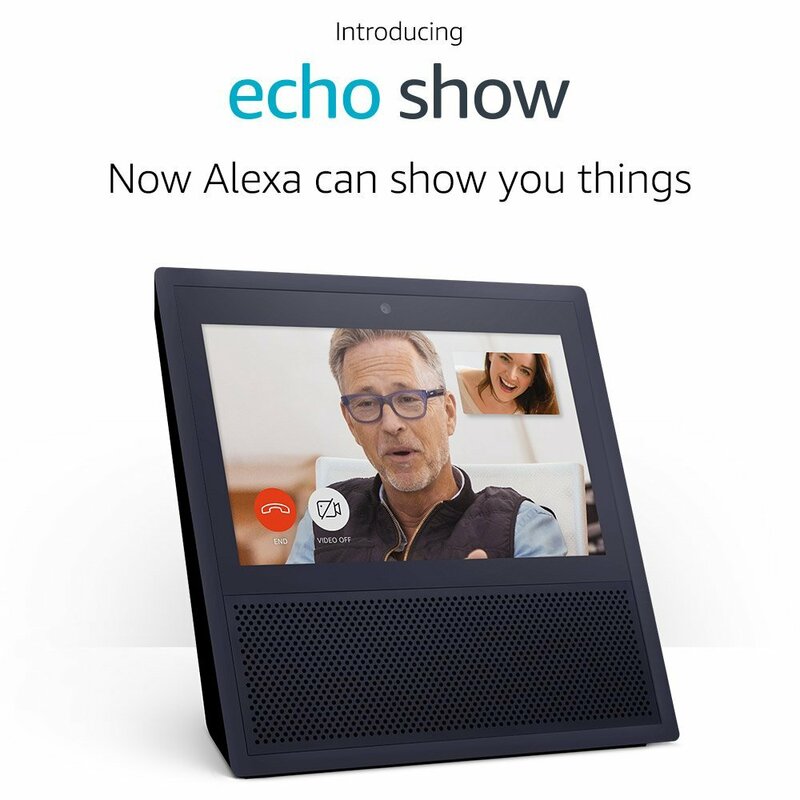 The device can make hands-free video calls to friends and family who have an Echo Show or the Alexa App, and make voice calls to anyone who has an Echo or Echo Dot. See lyrics on-screen with Amazon Music. Play a music and stream over Wi-Fi. You can also stream music on Pandora, Spotify, TuneIn, iHeartRadio, and more. Rumors about the device have been floating around since the late 2016 and a leaked image of the device has been seen on various tech sites over the last week or so. Personally, I was surprised the the leaked picture actually turned out to be the actual device – I thought the design was a little dated and it reminded me a lot of the Sony Dash HIDC10 (a 7-inch touchscreen media device) but with a speaker on the bottom. 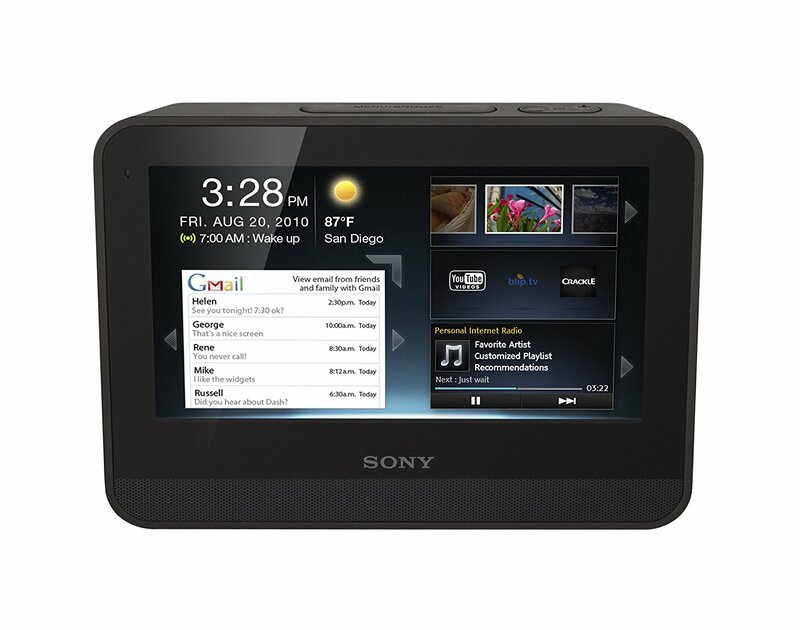 I have used the Sony Dash as an alarm clock/media device for almost seven years. Year ago, Amazon had an app for the Dash that allowed you to watch Amazon Video on the device. The Dash video app was discontinued when Amazon came out with its own Fire Tablets. 😦 While the Dash has been discontinued, I still use mine and consider it one of my indispensable devices. There is a lot that we still don’t know about the device. The questions are already starting to pop up on Amazon about what video services it will support, etc. I am curious as to why you can only make voice calls to someone who has an Echo or an Echo Dot. Given that the number of skills that have expanded the original Echo’s feature set, it will interesting to see what evolves with the video version. The Echo Show will be released on June 28, 2017, will retail for $229.99 and is available in both black and white. You can find more information on the product page here. Amazon is also having an introductory Buy 2, Save $100 special if you want more than one or one for a friend or family member. I just ordered one of these to check it out. What about you? Does this new Echo device sound interesting to you? Amazon has announced a new member of the Alexa Echo family, this time a device with a camera. Called the Echo Look, the device is being touted as a “hands-free camera and style assistant”. The device allows you to take sharable 360 degree photos and videos with just your voice.It features built in LED lighting a a depth-sensing camera that allows you to blur the a photo’s background. The Echo Look’s integrated app has some interesting features: You can create a personal lookbook. It also incorporates a feature called Style Assistant, which allows you to get a second opinion on your outfit. Submit two photos and the Look will tell which looks best. The Echo Look does all the other things the Echo is known for. It plays music, reads audiobooks, gives you the weather forecast and so on. You can also add third-party skills to the device. 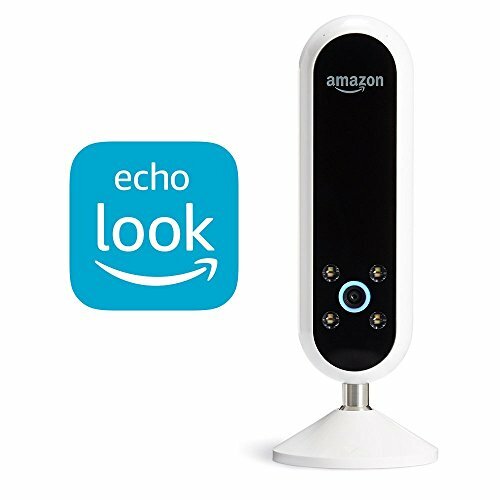 The Echo Look will retail for $199.99. Like they did with the original Echo, Amazon is initially making the Echo Look available by invitation only. You can request an invitation here. So what do you think? Do you think Alexa needs a camera?